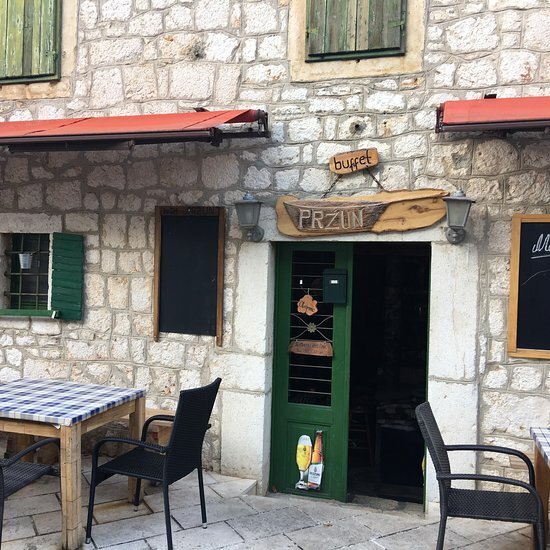 There aren't enough food, service, value or atmosphere ratings for Buffet Przun, Croatia yet. Be one of the first to write a review! Cute local with a warm welcome. There was no menu, no prices, no bill, although we had some hair in the soup. No English speaker waitress, either. Better to avoid it. Get quick answers from Buffet Przun staff and past visitors.